Projects targeting older working adults, socially active elderly, older diabetes patients and pedestrians using Green-Man countdown devices. Singapore, January 15, 2015 – Tokyo based non-profit organisation Mitsui Sumitomo Insurance Welfare Foundation (“MSIWF”) awarded grants to four Singaporean research projects amounting to S$37,500 in total, with 3 projects focusing on elderly care and 1 project on traffic safety. 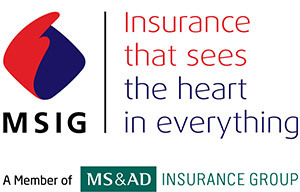 MSIWF, which is affiliated to one of the largest insurance groups in Asia, MS&AD Insurance Group and the group’s local subsidiary, MSIG Insurance (Singapore) Pte. Ltd., has been advocating the advancement of research in elderly care and traffic safety in Singapore since 2007. The foundation receives annual applications from established Singaporean institutions such as National University of Singapore, Nanyang Technological University, Singapore General Hospital, National University Hospital and SingHealth Polyclinic. The MSIWF grant is unique as it is one of very few in Singapore that caters to the budding and multi-disciplinary nature of research projects, which often face difficulties in obtaining funding. MSIWF makes wider and niche researches on senior citizen welfare and traffic safety possible. “The Foundation wants to continue supporting researches that will benefit the local community, especially since this is the 50th anniversary of Singapore’s establishment. The dynamic development of Singapore would have been due to the contribution of its senior citizens.” Said Mr. Yohichi Kumagai, Executive Director of MSIWF. This year, the awarded projects will be concentrating on 4 main target groups – older working adults, socially active senior citizens, elderly with Type-2 diabetes, and users of Green-Man Countdown Devices (“GMCD”) at pedestrian crosswalks. One of the researchers receiving a grant for senior citizen welfare research, Dr. Joyce Pang from Nanyang Technological University will be examining the psychosocial factors contributing to the well-being of older working adults and, by understanding these work motivation factors, the research aims to provide leads to identifying enablers for building a diversified workforce with active ageing citizens. Nutrition and lifestyle choices have a profound effect on keeping our ageing population healthy and socially active. Suboptimal diet and sedentary behaviour, when identified early and monitored closely, can help to decrease the risk of chronic diseases prevalent in older citizens. By developing an Active Ageing Intervention and Monitoring System (“AIMS”), Dr. Ren Hongliang from National University of Singapore, the second recipient for senior citizen welfare research, wants to cross-apply wireless smart sensing technology to epidemiology analysis. The AIMS device can be used to measure and track a person’s diet quality and lifestyle in real-time. The elderly themselves or primary caregivers can then use the gathered intelligence to make informed decisions about their lifestyle or those under their care. Diabetes-related complications are well documented. Depression is also commonly associated with older adults with diabetes. Hence, older adults are less likely to engage in diabetes self-care activities, leading to increased risk of complications. Together with a team of researchers from the National University of Singapore and SingHealth Polyclinics, Ms Cherry Tan Chay Lee of Bukit Merah Polyclinic, the third recipient of the senior citizen welfare grant, will be developing a Diabetes Self-Efficacy Enhancing Programme (DSEEP), a diabetes self-care management programme that tailors to the needs of diabetes patients in multi-cultural Singapore. The researchers hypothesise that users of DSEEP will report higher levels of self-efficacy, increased levels of diabetes self-care activities, improved blood glucose levels, lesser psychological distress and more positive perceived health-related quality of life. The only recipient of the traffic safety grant, Ms. Chai Chen from Nanyang Technological University, aims to estimate effects of Green-Man Countdown Devices (“GMCD”) at signalised pedestrian crosswalks. Pedestrian behaviours at signalised crosswalks with and without GMCD are observed and analysed. A micro-simulation model is developed based on site observations to estimate safety performance. Simulation outputs allow users to establish the impacts of GMCD at signalised crosswalks with different geometric layouts, traffic and pedestrian volumes, as well as green time. The project is useful to help engineers and authorities in identifying locations to install GMCDs. The projects will be conducted over a 12-month tenure and results of the research will be published in scientific journals and shared with the foundation by January 2016. MSIWF does not retain any rights to the researches nor prevent the research teams from obtaining further funding after the grant tenure. More than 1,870 grants with a total value of more than JPY2,122.5 million have been disbursed to date, including the MSIWF grant beneficiaries this year, of which 36 went to researchers in Japan, four in Singapore and four in Thailand. In Singapore, each grant carries a maximum value of S$10,000. Since the projects from Singapore and Thailand were first eligible for the grants in 2007 and 2008 respectively, a total of 30 projects from Singapore and 27 projects from Thailand have benefited from the MSIWF research grant.